Happy 2014 everyone! I hope you guys had a fantastic time celebrating the coming of this new year. I'm so excited to kick off The New Year Project! 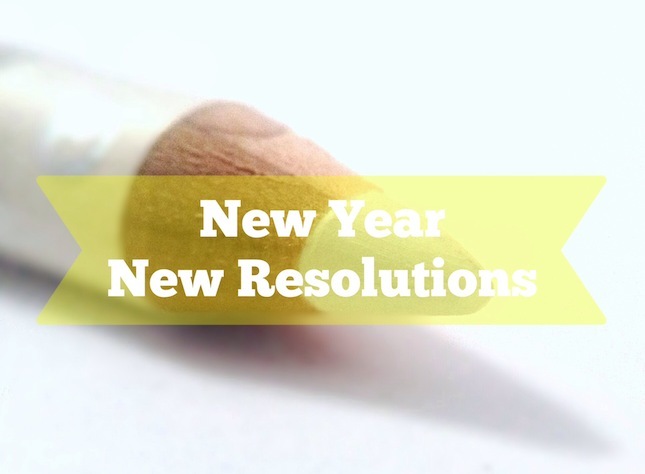 I just feel that blogging about my resolutions for this year will make me more accountable and likely to stick to them. If you need a buddy to help you with your goals for the year, let me know. I wouldn't mind having someone check up on me either! My main resolution this year is to declutter and down-size. I used to shop just to make myself feel better, and I'm still trying to keep that under control. Over the years, I've accumulated so much stuff, it's gotten out of control. I've already started sorting through my things, trying to decide what I'll keep, donate, throw away and sell. It's so hard! I want to hang on to everything, but at the same time I have to be really strict, since I'm planning on going overseas late next year, and I don't know when I'll be coming back. I'm planning on getting this done by making a strict list of rules when it comes to deciding what to keep and what to get rid of. Hopefully this will discourage me from getting sentimental and hanging on to things that I haven't used in years. I've also got some other things I want to do this year, like lose the 10kgs I piled on after a breakup from about 4 years ago. Most of the things I want to do are on my 101 in 1001 list. Fingers crossed I can get a lot of them done this year! Have you got any resolutions for 2014? Or do you tend not to make any? If so, why? I am the exact opposite - I hardly hang on to anything! I don't get attached to things easily, so it's so nothing for me to toss it or give it away. What works for me is I do "spring cleaning" twice a year. I get rid of anything I haven't worn or used in the past year. Good luck on your goals. I need to do the same thing with the downsizing (and some of the steps are in my 101 in 1001 lol). I decided not to pull out specific goals for the year and just to work toward the things on my list. I still need to come up with another 13 goals for that. Thanks Amanda. Good luck with coming up with your other 13! Welcome back LuAnn! Haha wow talk about organised! You go girl :) and yes, I'd love for you to be my accountability partner!